8 - Great episode, dude! 7 - Pretty good episode. 6 - Some stuff here saved it from being average. 3 - Waste of time. 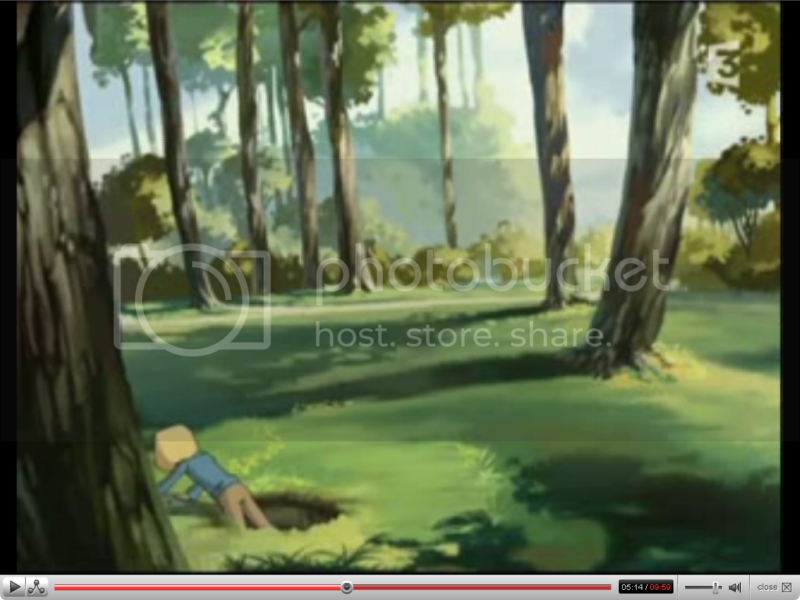 1 - As bad as Nicolas and Hervé doing a parody of Brokeback Mountain. 0 - You're missing nothing if you skip this. Gustavo Cerati on some concert that I attended wrote: Lights, camera, action! Youtube! You can find this episode on the Internet too... and post your comments here! Uh, guys? Check out what I found. Moonscoop found it too hard to reanimate just a few frames of Jeremie pulling the lid over the manhole. They used a clip with his old outfit. Anyone else catch it? I the old outfits. Makes the Kadic students look like the children they should always be. kamekai wrote: Uh, guys? Check out what I found. Moonscoop found it too hard to reanimate just a few frames of Jeremie pulling the lid over the manhole. They used a clip with his old outfit. Anyone else catch it? I did, and laughed when I saw it. How very Moonscoop to have a scene error in the series' penultimate episode. This episode did some good things on its own, it felt like they wanted more episodes to argue about William's place being back with the group, and the comments during the fighting later felt too artificially about wrapping the shipping up. So for a second time, I have to blame the meandering of the series as a whole not knowing where it wanted to go for messing up what could have otherwise been an interestingly strong episode. Last edited by AmericanLyokoTeam on Sat Jan 12, 2008 11:51 pm, edited 1 time in total. It was kinda funny that XANA was killed by the very thing it had bent to its will. It seriously was sad, but I suppose it was necessary to have someone die, so that the ending wouldn't be "completely happy". ._. Still, it was rather...bad. ._. No offense...to the person that voices Aelita (the name is escaping me right now)...but the French voice actor seemed to have a little more emotion. It was a fun to watch episode, but compared to other Code Lyoko episodes it felt poorly planned. I could go on a rant but I won't, it's too early in the morning over here. The season two finale felt more epic than this final battle. Season four as a whole seemed to fall on its face in spots after the first replika. It was a great episode, but really abrupt. I really wasn't expecting the end of Code Lyoko when I saw it (although I did get pretty excited to find out how it would end); I thought it would be more like a set of episodes depicting a huge plan to wipe out XANA. Jeremie's multi-agent system seemed… a bit too simple. When the last Replika got deleted, it was just simply gone; nothing cool happened; it was just a normal day, and XANA just happened to be gone. But then again, it is a bit more realistic and special without all the drama. I have received 2480 replied notifications. Click here to go to my 1337th post. 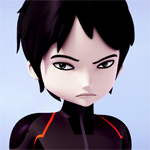 Click Here to view the longest thread in Lyoko Freak history. This episode was pretty good. My lone problem is that the program to destroy XANA happened too fast. In the span of just one episode, Jeremie got all he needed to destroy XANA. Meanwhile, it took the span of a whole season to materialize Aelita. All in all, however, I enjoyed this episode. That whole scene with the GINORMOUS specter seemed like something out of a horror movie, with the screaming face and everything. I almost cried at the end, I'm not ashamed to admit it. Aelita has no family now, the daddy she had been hoping to save since she knew he was her father is gone. I cried the first time I watched this on youtube. I mean, jeez, really? And I almost feel over laughing with the whole "Ulrich's on top of it" deal with the Kalosis. (or how ever the heck you spell that). Does anybody else think that thing kinda looks like the Night Walker from "Princess Monanoke"? Just saying.